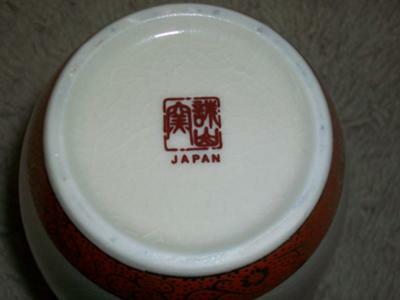 Antique & Fine China - Vintage Japanese Kaneyama Kiln Ginger Jar:- I bought this at an estate sale and could not find the maker's mark anywhere on the internet. I found out that the japanese writing reads, "The Kaneyama Kiln." But I have scoured the internet/books and I cannot find anything about the maker. I would love to know what era it is from and any history about the Kaneyama Kiln, if possible. 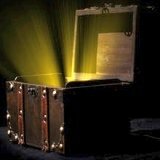 I have done some digging about what Kaneyama is, or was. As usual with Japanese ceramic manufacturing, it is shrouded in myth, mystery, and obscuration. So not easy research at all. First thing I noticed is that 'Kaneyama' is an everyday Japanese surname, so anyone with that surname can can mark their pottery with that name. Secondly, I was reading that according to local legend there was a pottery called Kaneyama in Koka, Shiga Prefecture. It was gone and no one knew quite where it used to be until they discovered the ruins of the Kaneyama kiln in a place called Shigaraki. takes 5 days to stoke it up to firing temperature and 5 days to cool down. Then I was reading another account of a potter called David Adam (see http://www.davidadam.com/j93/kane1.html) who was in a place called Goshogawara in the 19990's (many hundreds of miles away from Shigaraki with no possible connection). David talks of visting Kaneyama Yaki (Kaneyama Pottery) run by an expert and highly respected potter called Matsumiya. So after much Google burn out we are really no better off, apart from Kaneyama may be a legendary style of pottery from Japan, little known in the West and that various people make in that style and call their wares Kaneyama Yaki. This is fairly typical of 'Yaki' in Japan in my experience. 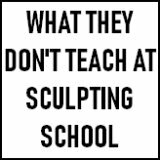 Nothing is ever easy to research as they seem to think more in terms of individual masters or Sensei making a traditional school or style of pottery than individual pottery firms (e.g. Arthur Wood & Co) making various ranges, collections or patterns. It's a different way of thinking. If anyone has pieces with this pottery mark let us know what you have or if you know about this Japanese kiln/pottery please also let us know - it all adds to the knowledge base here. 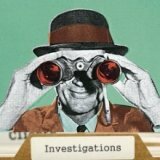 Post via the comments link below. 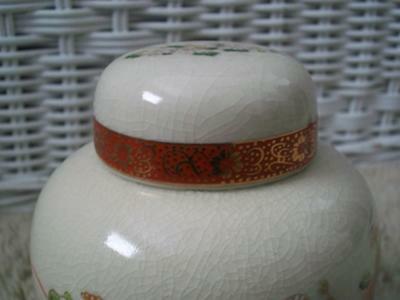 I have a 5 1/2 inch black ginger jar with gold trim with the same markings hard to find anything on that marking. 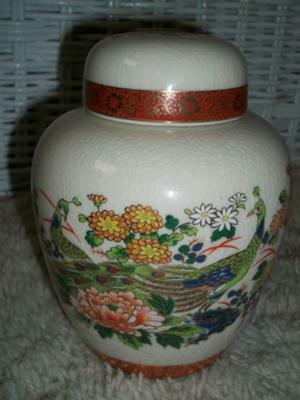 We have a ginger jar with a peacock design that has the same markings on the bottom. I have a vase with flowers and the same mark.I cannot find any information on it. 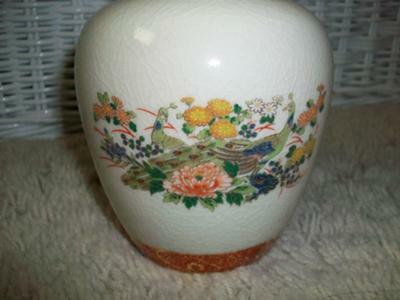 I have the same Symbol on a Vase, Would LOVE To know MORE, HOW OLD IT IS, WHERE IT'S FROM, Besides Being Stamped ~ JAPAN With SAME SYMBOL, Do Not KNOW ANYTHING ABOUT VASE, TO My Late Husband Bought It At FLEE MARKET,Vase Is About 10~12 Inches Tall, Black/W Good Flowers, (GOLD FEELS REAL) & Scrolls @ Top Rim & Bottom Rim, Egg Shell Color Vase Painted/W Flowers, JUST ON ONE SIDE, Backside Blank. I Would REALLY APPRECIATE It If You Can FIND OUT MORE ON SYMBOL, MAKER, YEAR, SOMETHING WOULD BE NICE. I have a crackled vase with flowers trimmed with gold. 6 1/4 " tall, 3" wide 8 sided or Octigon. Cannot identify maker either.